← The Wildfire Diaries – Emergency recalls. 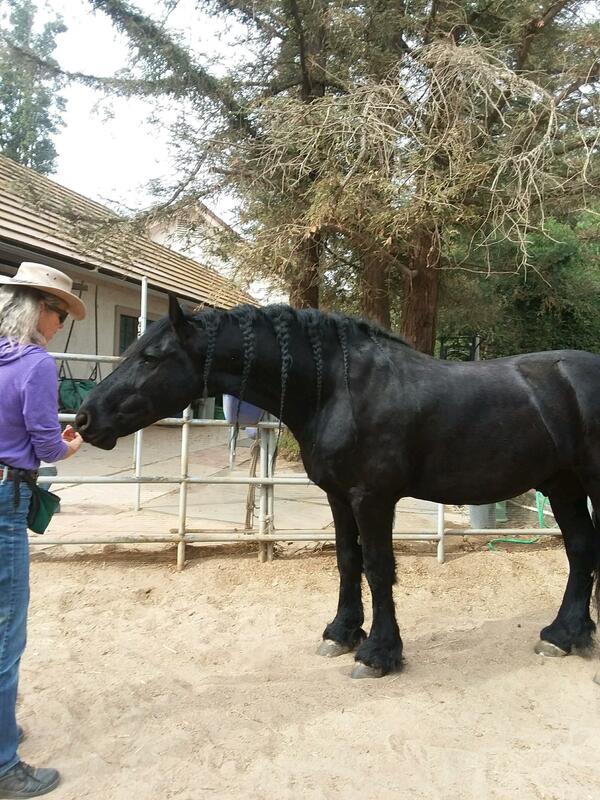 Every week I am presented with the lovely opportunity to work with four horses, two Friesians, and two minis. They live in the same location and I have more fun working with these horses. The numbers of clicker trained behaviors in place are extensive; the training process is comfortable and the communication is easy and focused. They are all different, yet a joy to work with. By contrast, I watch the next door neighbor work with two horses. Several months after the acquisition of the second horse the owner is still in the paddock driving the horse away in a round-pen manner in hopes of having the horse come back to her so that she can put a halter on it. She has seen the profound results of how clicker training made catching and haltering easy for my friend’s horse. She has seen how many behaviors are being offered at liberty. We’ve chatted about clicker training and what it has done for the four I work with. Still, she won’t bring herself down to the level of using food in her training. It makes my heart hurt. My friend who owns the four horses I work with can toss a treat to this same horse who can’t be caught and does so maybe 3 times a day. The horse now walks up to within 10 feet of her. But the owner won’t budge, after months of little result from chasing the horse around. Like I said, it makes my heart hurt. I so wish I could find a way to help people see the joyful possibilities of clicker training. I so wish this.